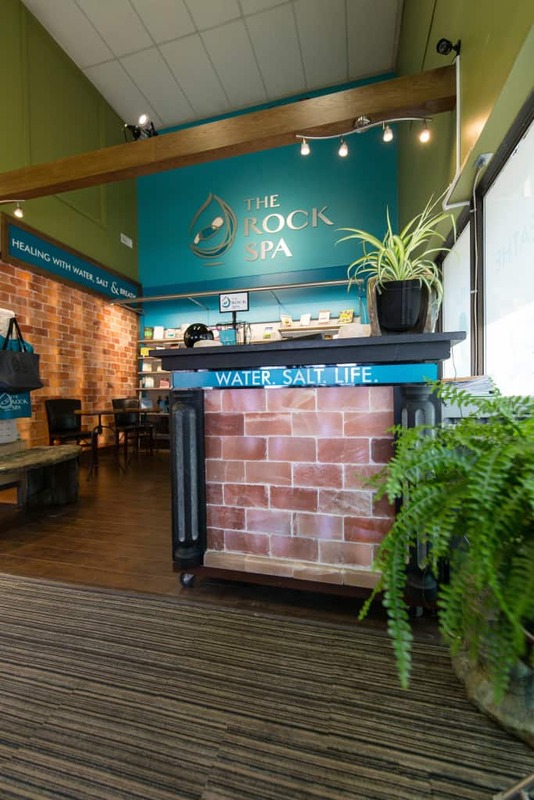 On my recent visit to the Waterloo region I had the opportunity to visit The Rock Spa in Kitchener, Ontario and I got to try the Floatation Therapy for the first time. I have heard a lot about floatation therapy so couldn’t wait to give it a try. 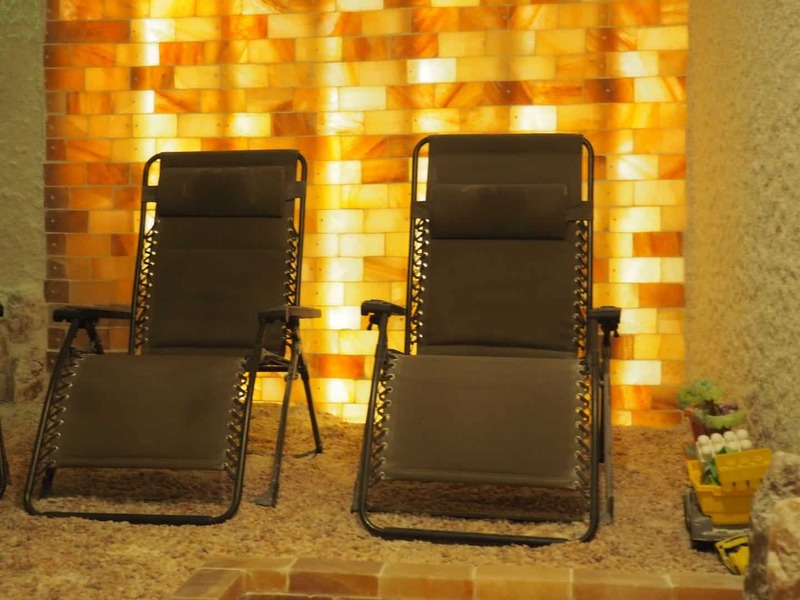 My husband and I love visiting different spas and trying out different therapies. After our tour I went off to the Floatation room. 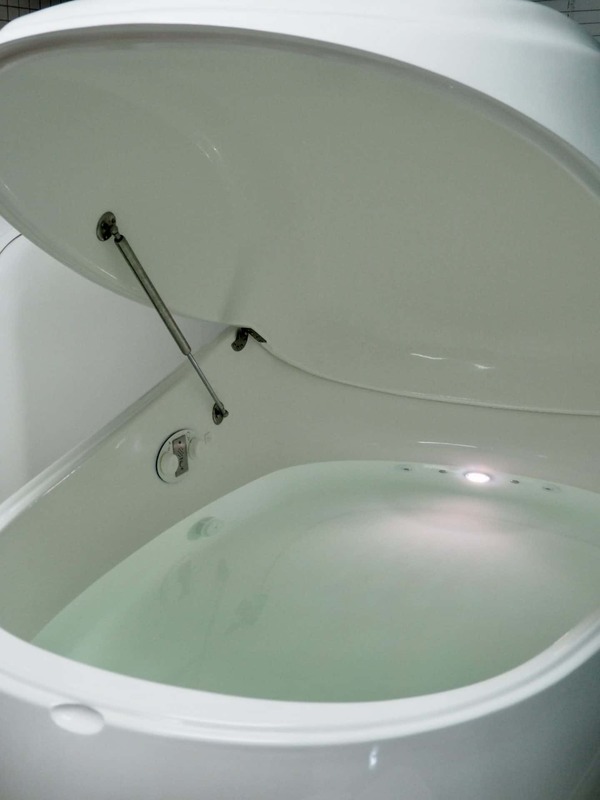 Have you ever tried Flotation therapy? 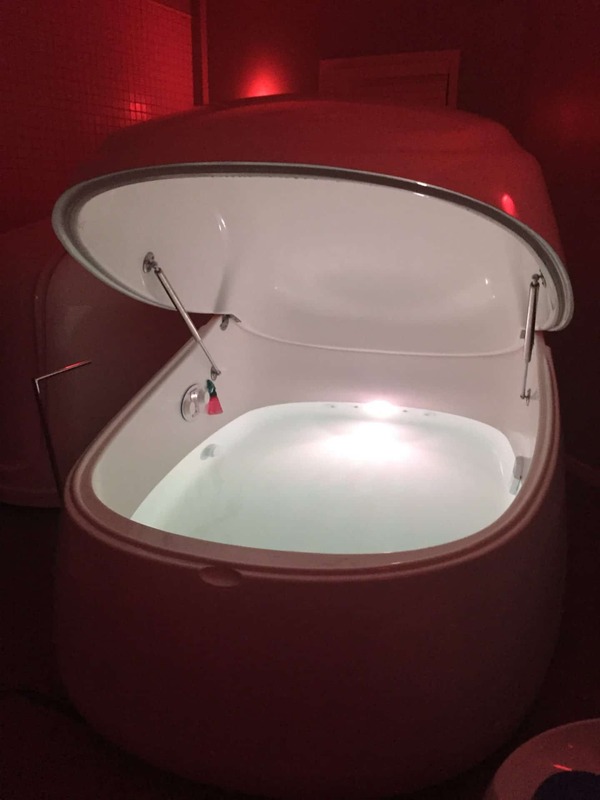 Floatation combines the sensation of weightlessness with a technique known as Restricted Environmental Stimulation Therapy, or R.E.S.T. Floatation therapy is a natural way to heal the body and mind. The concept is similar to the mineral salt baths at the Dead Sea in Israel. Eight hundred pounds of Epsom salt is dissolved into a well-engineered, sound proof enclosed tub of skin temperature water to create this effect. Floatation therapy is a natural way to heal the body and mind. The concept is similar to the mineral salt baths at the Dead Sea in Israel. Eight hundred pounds of Epsom salt is dissolved into a well-engineered, sound proof enclosed tub of skin temperature water to create this effect. I removed my make-up and showered before entering the pod. I kept thinking how am I going to float in this little water? When you enter the pod there is a button on the inside to start the session and another one to control the volume of the music. 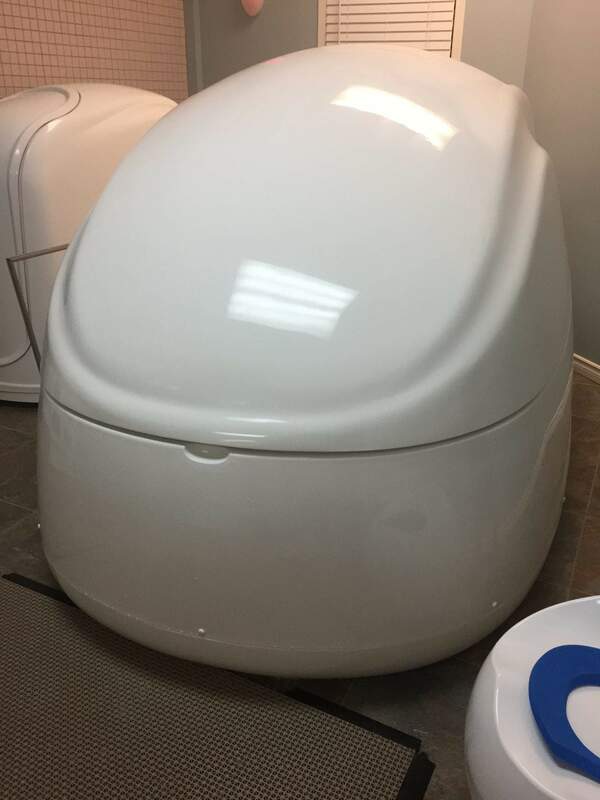 I entered the pod and sat down, pressed start and proceeded to move into the reclined position and immediately my entire body started to float. 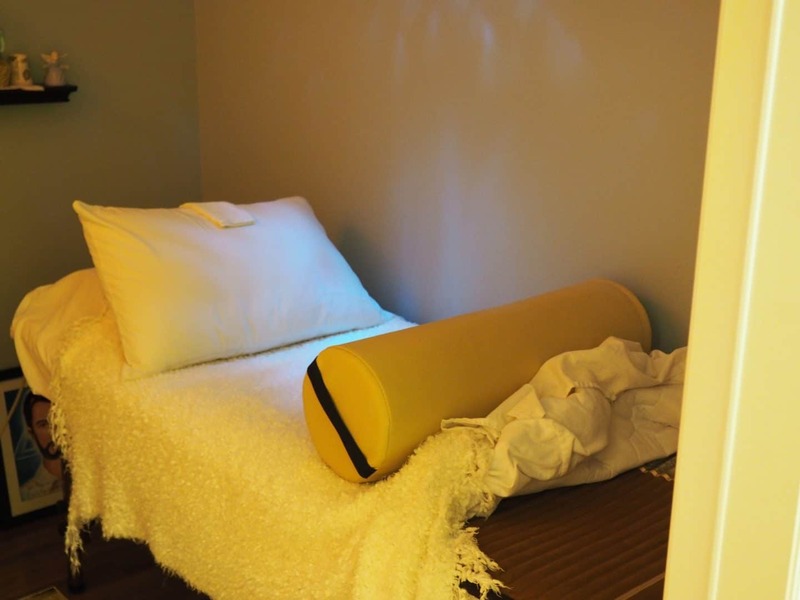 It took me a little time to relax as it was my first time and I didn’t know what to expect but after about 20 minutes in to my session, my body and mind started to relax. In fact, I think I even dosed off. My float session was one hour but when the chime went off to let me know my session was over, I knew I could have used at least another 30 minutes. Both my mind and body felt so relaxed. It was the most amazing thing I have experienced and would highly recommend it to anyone to try. 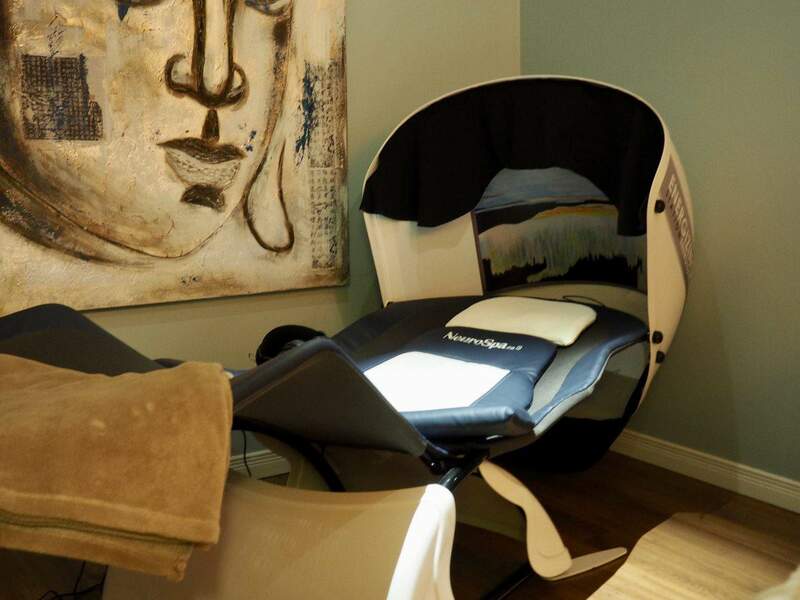 My husband enjoyed the Salt Therapy room while I was floating away. How does it work? As the salt is inhaled, it travels through the sinuses and respiratory tract absorbing moisture, cleansing, clearing mucus and killing bacteria. Salt is known for its anti-inflammatory and anti-bacterial properties as well as helping to loosen mucus build up and phlegm. 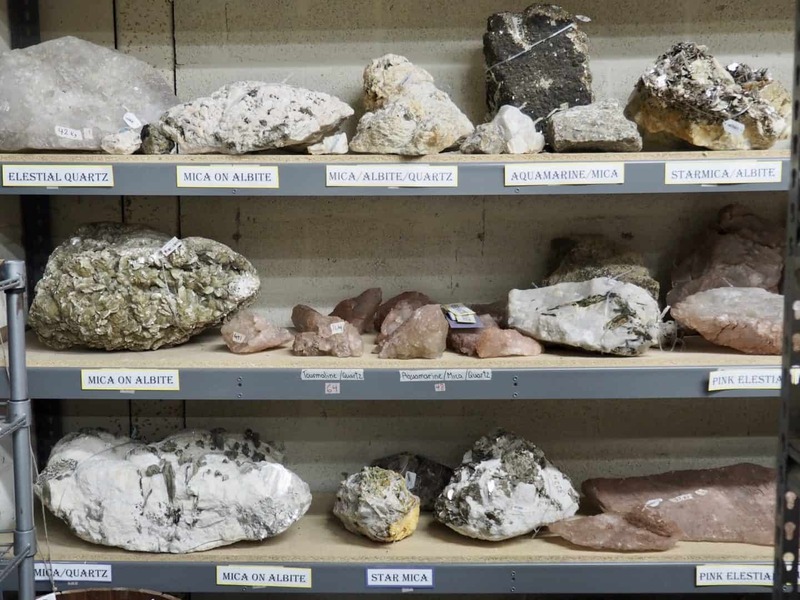 I would highly recommend The Rock Spa for their spa services as well as their mesmerizing selections of crystals. 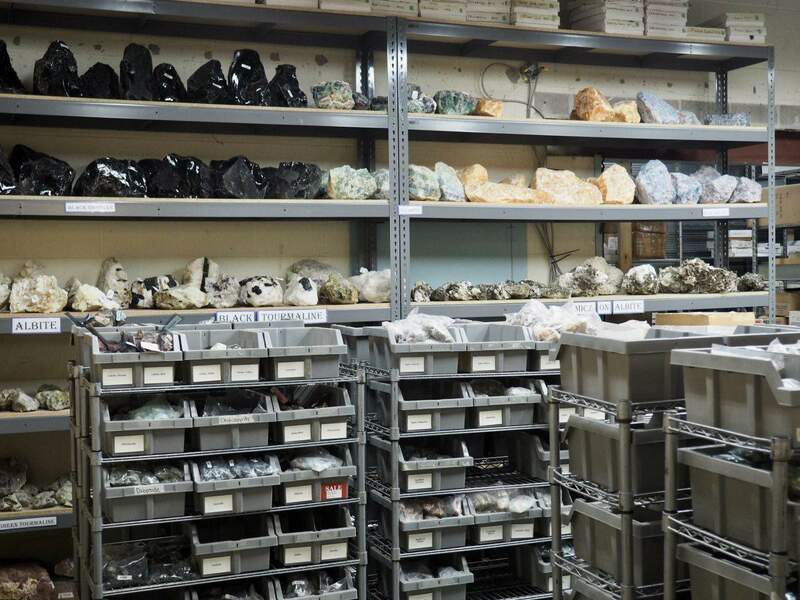 They have an online store for their crystals as well. Have you tried floatation therapy? I absolutely loved it – I’ve always wanted to try it. It is so relaxing. I thought the same thing but I loved it. There is a button and you don’t have to close the chamber completely. honestly, try it. 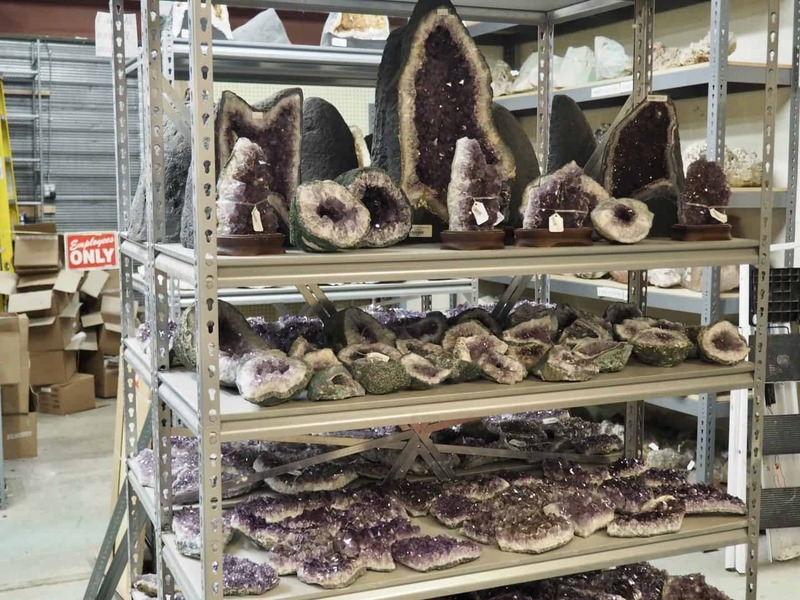 What a unique spa – I love all the crystals. I’ve heard of the floatation therapy thing, it sounds cool but I think I might get claustrophobic in there. Seems like an awesome way to de-stress though!